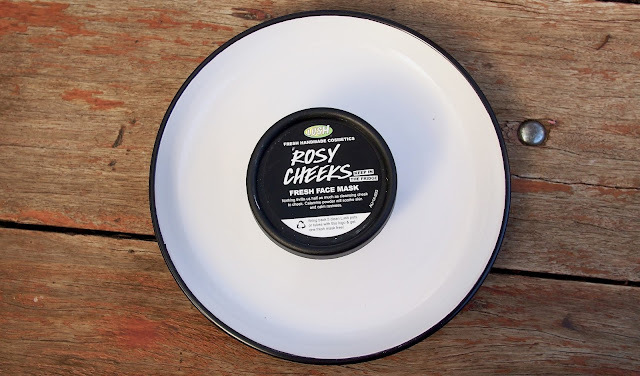 The LUSH Cosmetics Rosy Cheeks Fresh Face Mask is a cleansing mask designed to also be soothing and refreshing, with ingredients like kaolin clay, calamine and Turkish rose oil included to calm the skin whilst restoring its balance. 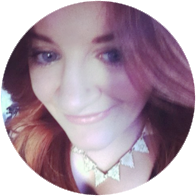 Basically it's a gentle clay mask that smells amazing and I am totally okay with that. 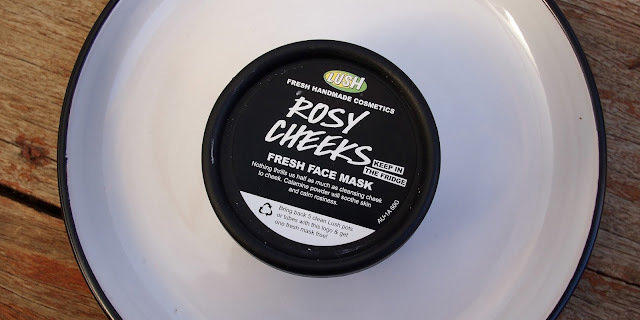 Like all other Fresh Face Masks, LUSH's Rosy Cheeks is a mask that should be kept in the fridge to keep the ingredients fresh so, when applied, it has a lovely cooling to the skin which is particularly nice in summer here in Australia. It's a relatively thick clay mask, as you can hopefully see from the photos, that is very smooth in texture and applies to the skin very nicely. It dries to a more matte finish, as shown below, and it's recommended to be worn for approximately 10-15 minutes. 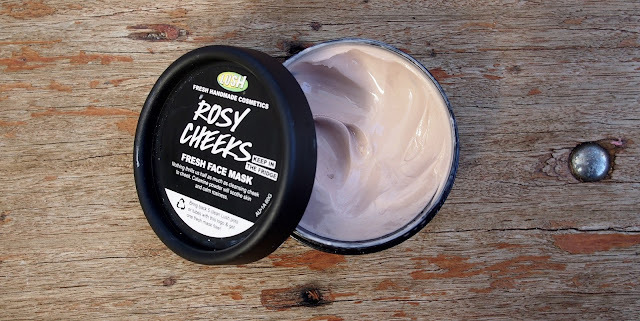 I've already gone through one pot of the LUSH Cosmetics Rosy Cheeks Fresh Face Mask and, judging by the amount I've got left in my second one, it won't be long until I'm buying my third. I believe the mask can be bought from any LUSH store and, at only $13.95 a pot, it's a bargain! Have you tried LUSH's Rosy Cheeks Fresh Face Mask? If not, what's your favourite mask from their range? Ooh, I haven't tried this one yet, it looks nice though, I'll have to grab it next time I head into Lush! I'm liking the idea of this mask! Maybe I'll pick up a pot after I finish my Origins clay mask. 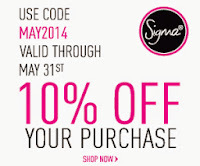 I haven't dabbled in Lush skincare very much so it'd be nice to try something new!